AAV-2 Bicistronic Expression System (IRES-Neo) | Cell Biolabs, Inc. 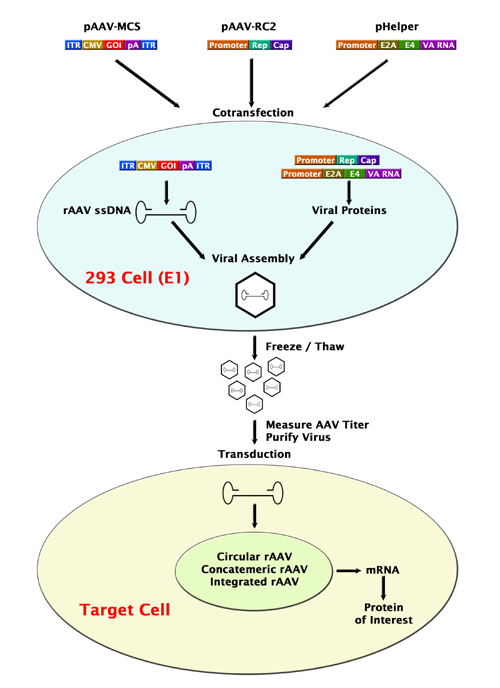 Figure 2: Production and Transduction of AAV2-GFP. Top Left: 293AAV cells prior to transfection (10X). Top Right: 293AAV cells 48 hours after transfection (10X). 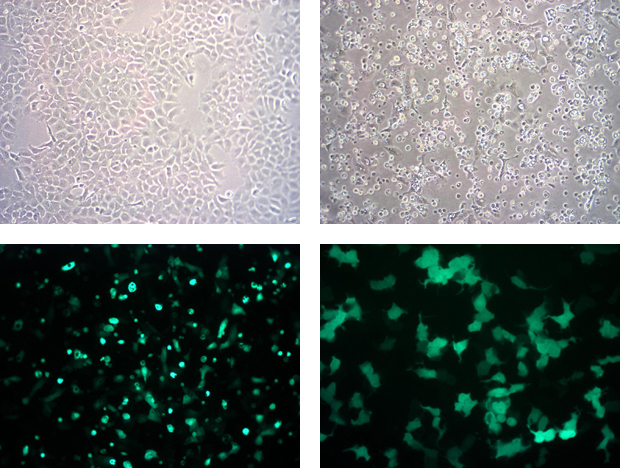 Bottom Left: GFP expression in 293AAV cells 48 hours after transfection (10X). Bottom Right: GFP expression in 293AD cells 48 hours after infection (20X).